This is a 1937 ad for a Pabst Blue Ribbon Beer! The size of the ad is approximately 8x11inches. 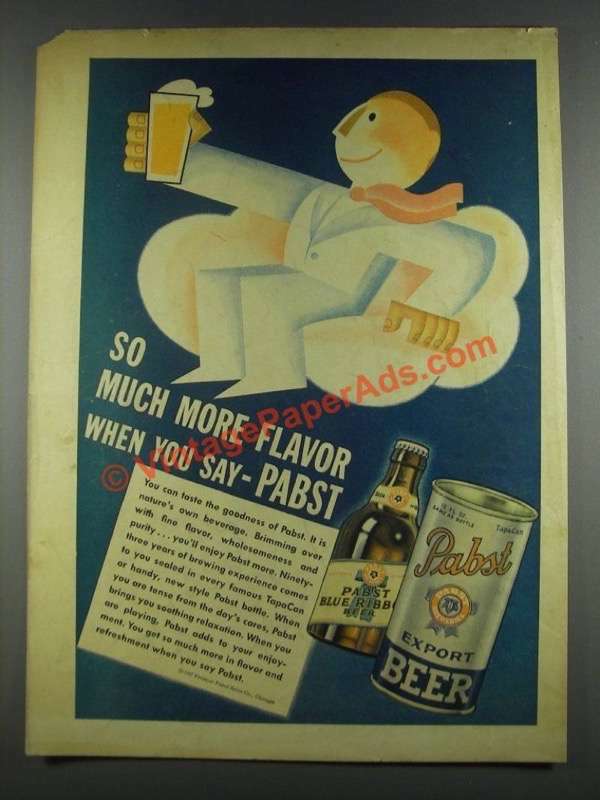 The caption for this ad is 'So much more flavor when you say - Pabst' The ad is in good overall condition, with some wear / staining, small edge tears and a small piece missing from the upper left corner. This vintage ad would look great framed and displayed! Add it to your collection today!